It’s Thursday, so here’s the next in the throwback interview series. 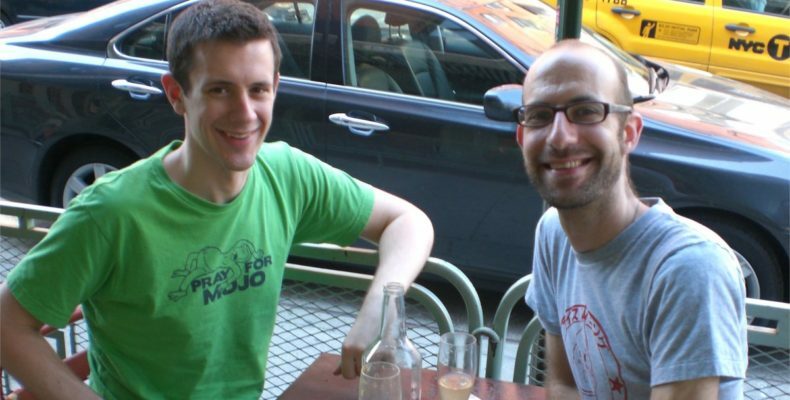 The 10th interview took place in August 2009, and was my lunch in New York with actor Cecil Baldwin, who went on to great success with the Welcome to Night Vale podcast. And I’m happy to report he remains a thoroughly charming fellow — he also hasn’t physically aged much since the pictures in the piece were taken. I certainly have. Belcourt, the decent restaurant where we ate, also didn’t age well, as it appears to now be permanently closed.